Q: WHEN SHOULD I BOOK TO GET A ROYAL ELITE ROOM? Q: HOW COME THERE IS AVAILABILITY ON SANDOS.COM OR OTHER WEBSITES FOR THIS PARTICULAR TYPE OF ROOM AND I CAN'T GET IT THROUGH ROYAL ELITE RENTAL? A: Royal Elite Members only have a % of the rooms in the hotels, when this % is reached we can't book any rooms. Q: WE'RE A LARGE GROUP, CAN YOU RENT MULTIPLE UNITS AT THE SAME TIME? A: Yes we can book several units ant the same time, contact us early for a better selection of rooms. ​Q: WHAT IS YOUR CANCELLATION POLICY? If the Renter needs to change dates, the Owner will change the reservation for new dates. If the reservation is cancelled, there is no refund of possibilities to book at a later time. If a reservation is cancelled at least 14 days before check in date, the hotel will refund the deposit of the all-inclusive fees. Within 14 days the hotel will not refund the deposit. Q: HOW LONG DOES IT TAKES TO RECEIVE MY FINAL BOOKING DOCUMENT FROM SANDOS? A: Usually between 2-78 hrs after the reception of your payment. 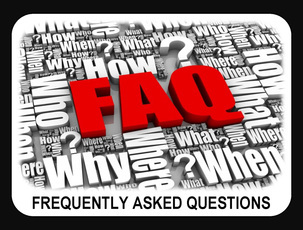 Q: OTHER THAN THE ALL INCLUSIVE FEES, IS THERE OTHER SURCHARGE OR TAXES TO PAY AT THE HOTEL? A: There is no hidden fees related to your booking. A new sanitary taxe will be charges at check in for Playacar and Caracol $8 per room, per week approximative. Q: WE FOUND ABOUT YOUR SERVICE AND WEBSITE AFTER WE ALREADY MAKE OUR RESERVATION THROUGH A TOUR OPERATOR, IS THIS TOO LATE? CAN WE PURCHASE AN UPGRADE WITH YOU? A: Depending on where you booked your hotel you can cancel at no charges, check out their policies. If you can't cancel we can't sell you an upgrade. Royal Elite reservations and regular bookings are completely different. Contact us for a future trip. Q: I DELAYED PAYING THROUGH PAYPAL, WHAT HAPPENS IF THE ROOM WE WANT IS NO LONGER AVAILABLE WHEN THE RESERVATION IS DONE? A: If it's the case we'll advise you and offer you another type of unit or simply refund your payment at 100% if you don't want this unit. Q: AFTER OUR RESERVATION IS DONE COULD WE ADD AN EXTRA DAY TO OUR RESERVATION? A: Yes, please contact us with your booking number, we'll contact RE office to make the change if there is availability. Q: IS MY ROOM CATEGORY GUARANTEED, WHAT HAPPENS IF THE UNIT IS NOT AVAILABLE AT CHECK IN? A: The room category is confirmed on your booking document, some type are very limited, if there is a major problem with the unit the hotel will do their best to accommodates you with an upgrade or same category. For the Ocean Front 1 and 2 Bedroom rooms at Sandos Playacar the 'View' or the floor level is not guarantee, if it's available they will give you the unit. Q: WHEN IS THE BEST TIME TO DO A ROOM REQUEST OR TO PRE-BOOK OUR DINNER'S RESERVATIONS? A: Only a few days before your arrival to the hotel.